Time for a new cookie recipe! 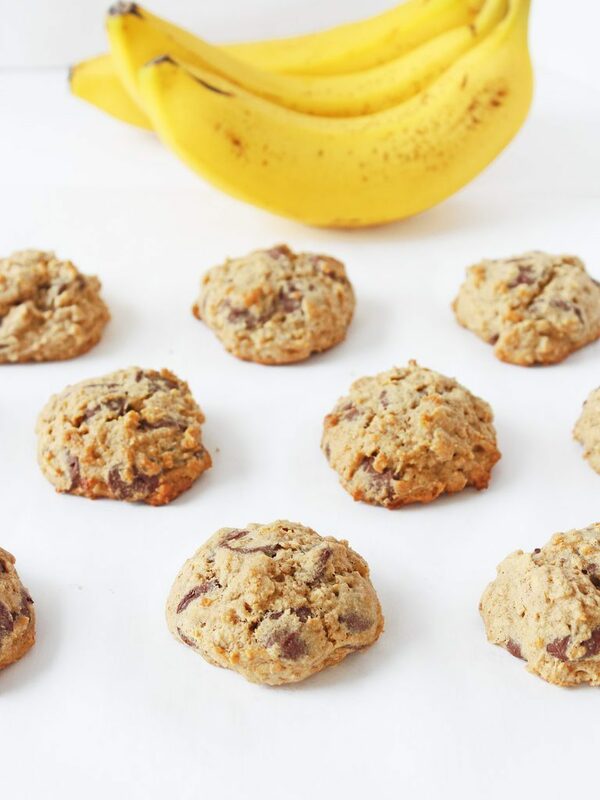 Banana oatmeal cookies have been on my mind recently so I headed to the kitchen and whipped these babies up. 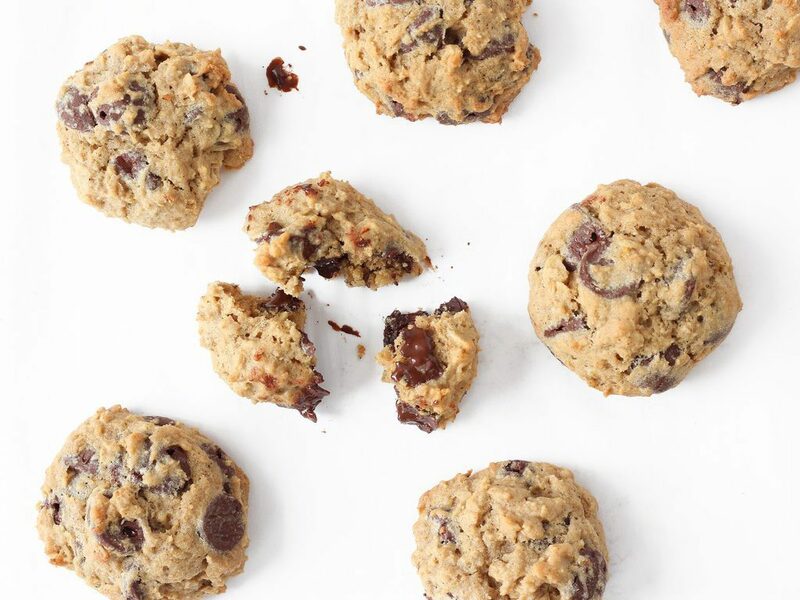 To make them even better, I added loads of chocolate chunks, but don’t be fooled! They’re on the healthier side. In all honesty, I just really wanted a cookie after dinner the other night, but I’ve been trying this whole eating healthier thing that people keep talking about. This is hard to do when I have a food blog that shares mostly recipes for baked goods people eat on their cheat day. 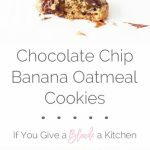 Thankfully, there are plenty of ways to lighten up normally indulgent desserts and I did so with these chocolate chip banana oatmeal cookies. For starters, switch out all-purpose flour for white whole wheat flour. White whole wheat flour contains the entire white wheat berry (in other words more nutrients!) while all-purpose flour contains only the endosperm of the wheat berry. Also, cut down the amount of flour by adding oats. 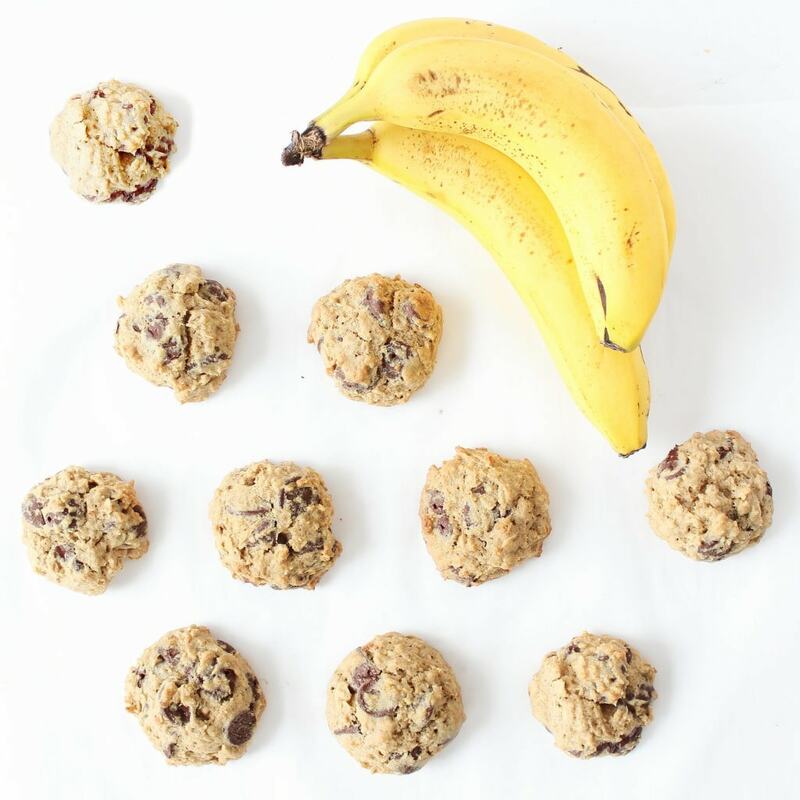 Rolled oats have more nutrients than quick oats and provide better texture in most baking recipes, particularly cookies. Adding a mashed banana to the dough cuts down on both sugar and butter while not sacrificing flavor or texture. If you want to be a real stickler for fat (or perhaps you want to be dairy-free), butter can be substituted with coconut oil—just be sure it is in its liquid state when you add it to the mix. Preheat the oven to 350° F. Line cookie sheets with parchment paper, set aside. Whisk together flour, oats, cinnamon, baking soda, salt, and baking powder. Set aside. 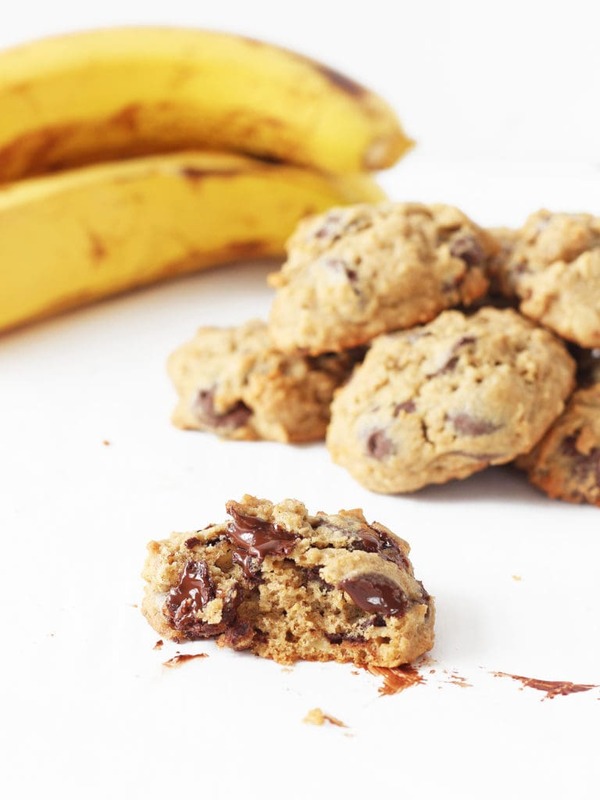 In a medium bowl of a stand mixer, mix together the butter, brown sugar and banana until well blended. Beat in vanilla and egg for 1-2 minutes until light and creamy. Scrape down sides when necessary. With the mixer on low, gradually add the flour oat mixture and mix until just blended. Stir in the chocolate chips. Scoop a heaping tablespoon of dough and form into a ball. Place onto the parchment-lined cookie sheet and bake for 12-14 minutes, or until lightly browned. Let the cookies cool on the cookie sheet for 3 minutes and then transfer to a cooling rack to cool completely. Store at room temperature in an airtight container. *1/2 cup coconut oil (in its liquid state) can be substituted for butter. Thank you for sharing this recipe. My friends & family loved this recipe!